new Cloth and Paper Collection. Today’s lesson was about using the brush tool as a stamp. What fun! 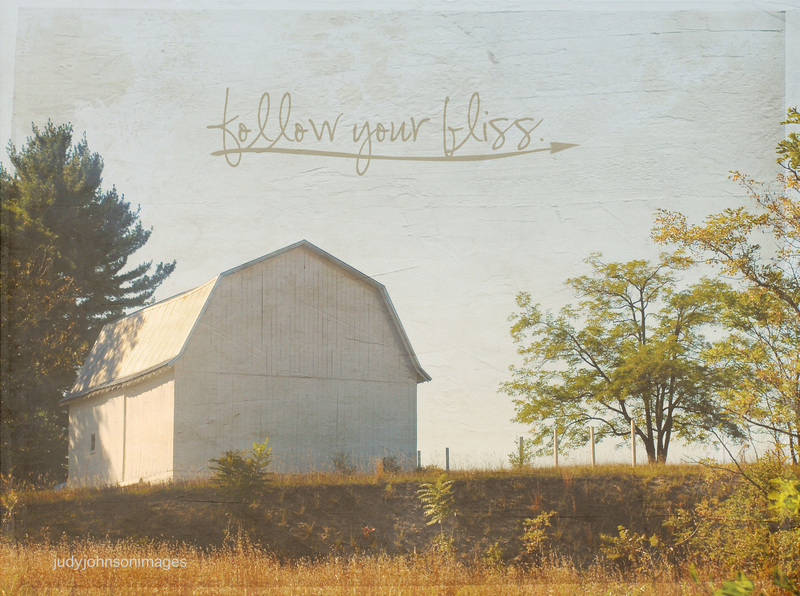 I stamped the quote on my barn photo with the brush technique Kim taught us. A white barn in the fall. Info: Nikon D300, Nikkor 18-135mm, ISO250, f/8, 1/250. and brush stamp with quote. Thanks for viewing, dear readers! techniques, to create a painted effect from a photo. It was an interesting lesson, but I still haven’t committed the process to memory! I need my notebook beside me! 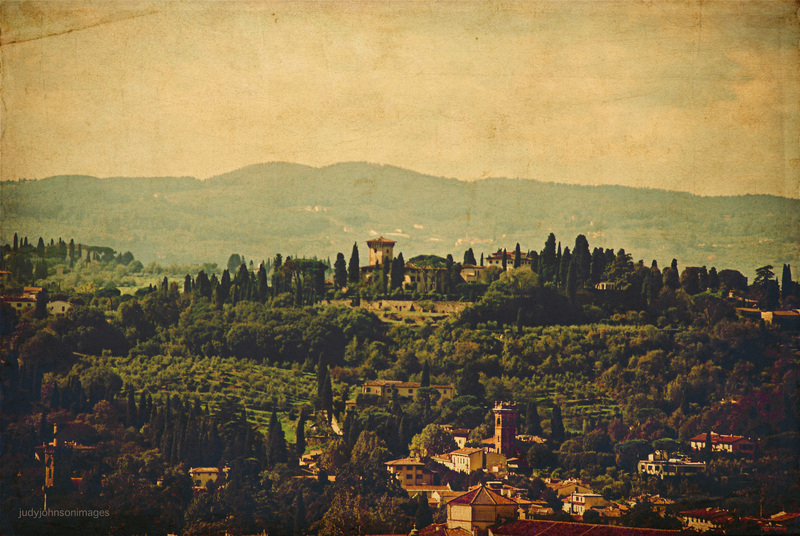 The countryside around Florence, Italy. 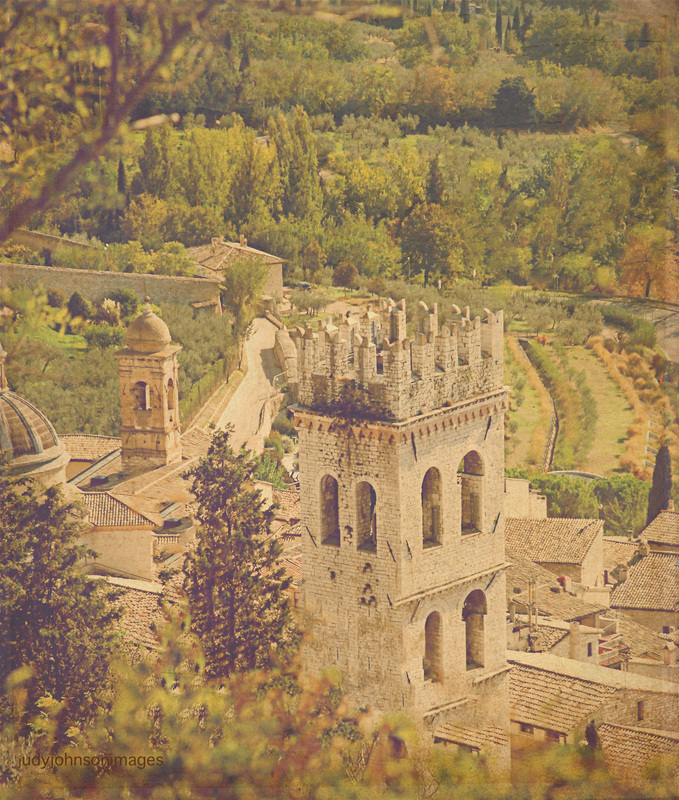 The tower of an old church in Assisi, Italy, stands guard over lush fields. 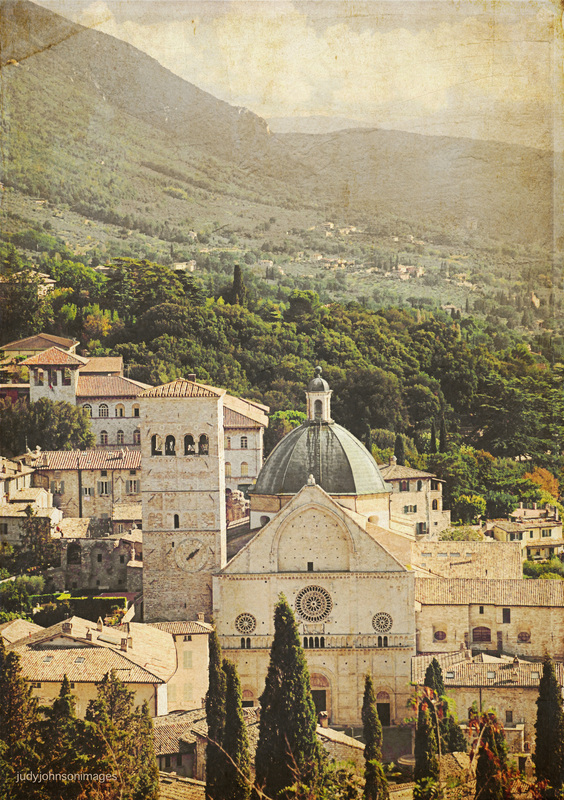 A view of Assisi from Rocco Maggiore. 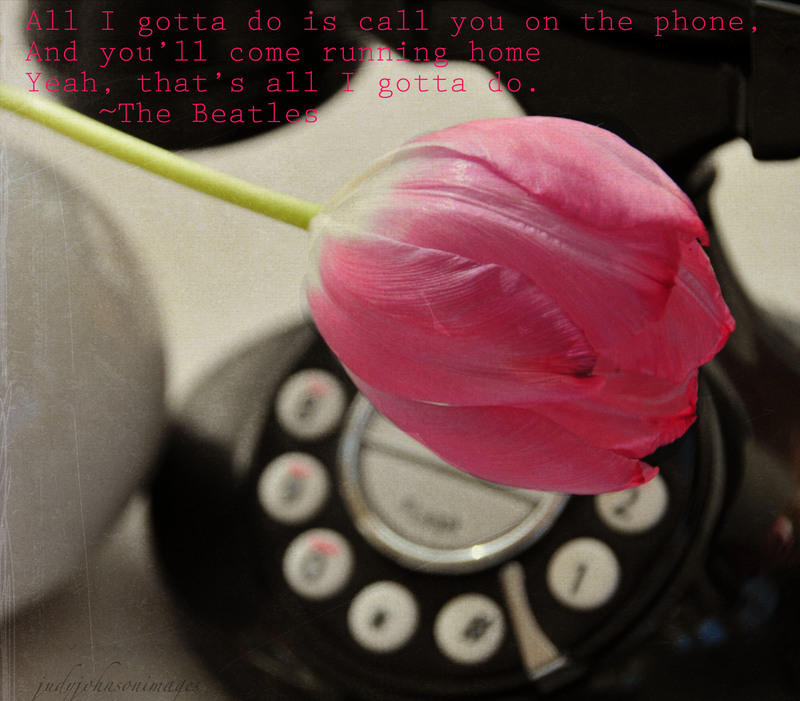 Kim Klassen’s textures used: Finale, Sienna and Vintage Gradient on the middle photo. I need a lot of practice, but these are my first versions of the Painterly Effect. I used PhotoShop Elements to process the photos. 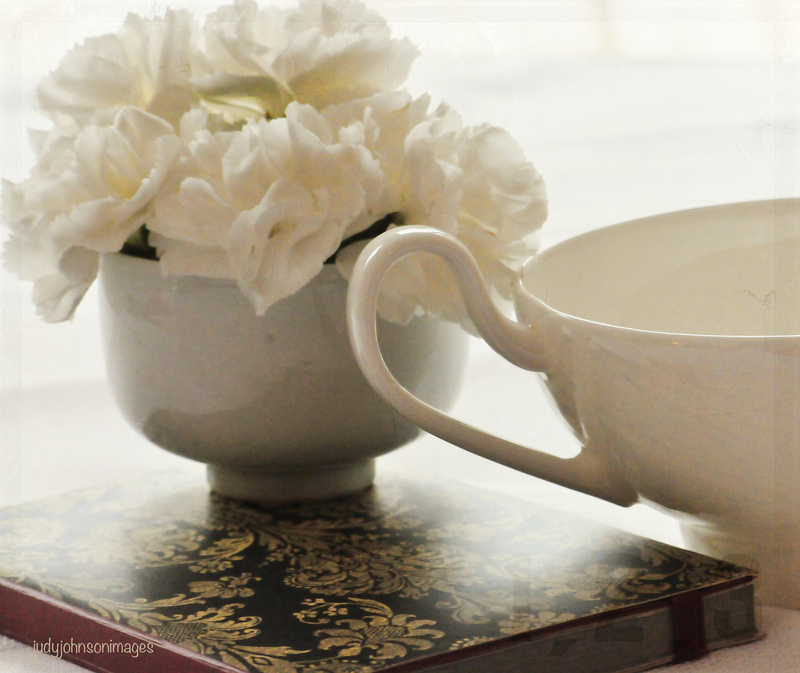 For Christmas my daughter gave me the lovely designed tea cup in the photo below. The handle is so expressive; the cup is wide and curvy. My daughter knows me well. She knew I’d love the cup, and she knew I’d want to create photos with it. Knowing someone so well, that you can find a gift that will touch their heart. Nikon D300, lens: Nikkor 105 mm macro, f13, 1/30. Softly on linear burn @19% opacity.